Searching for a pair of spinning shoes is a very individualized process. It becomes even more personal if you are a rider with a wide foot. You should consider the appearance of the shoe, its fit, comfort and your desired price range before making a final decision. 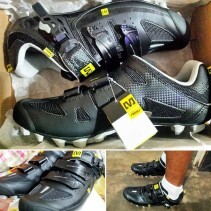 The Mavic Razor MTB Cycling Shoe is a wide fit, multi-terrain cycling shoe that incorporates many features designed with comfort in mind. 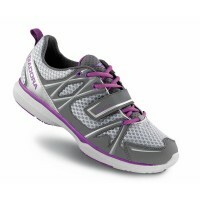 Beyond style and comfort, the price point is rather reasonable as well. 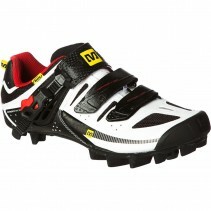 The Contragrip rubber soul is considered by many to be the best possible rubber material on an MTB shoe. 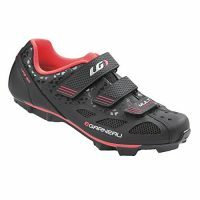 For nearly all riders Male and Female seeking a comfortable shoe, aside from some of the most competitive pros, this shoe makes a great fit. The Mavic Razor is an incredibly comfortable shoe for the money. 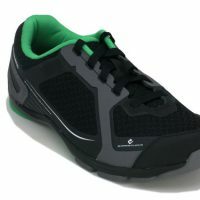 The Ergo Comfort+ Tongue insert has a powerfully positive effect on your instep comfort and the Ergo Ratchet locking mechanism helps lock your foot in place comfortably, quickly and conveniently. Unless you’re a pro and looking for only the highest-grade carbon fiber materials or you have a rather narrow foot, the Mavic Razor is a very comfortable wide pair of spinning shoes. 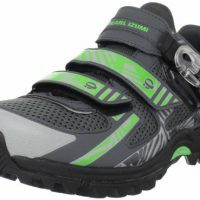 The heel cup of the shoe is also quite supportive, allowing for climbing situations when biking outside and having to hike up challenging terrains. The race-inspired design will make for an aesthetically natural appearance should you want to wear the Maxi in an outdoor mountain biking setting as well. 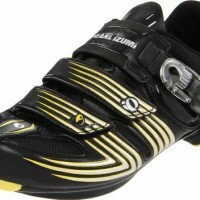 The reflective highlighted components on the shoe make it visible in low-light outdoor riding environments. 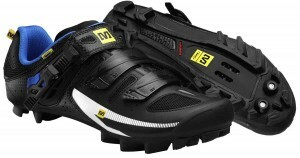 Safety and style combine in this affordable, middle-of-the-road MTB shoe. These are just really sharp-looking shoes. The black variant includes a bold white stripe, blue accents at the heel and yellow reflective brand tags. Buying shoes, particularly online, can be tricky. Fortunately Mavic have provided a handy sizing chart to help choose the right size. By taking an accurate measurement of your foot length most users, ourselves included, found the size to be perfect. Just tight enough to hold your feet firmly, yet enough space to be comfortable. 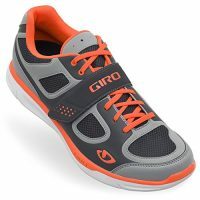 Will these Shoes work on my Spin or Indoor Bike? In a word YES! The Mavic have holes in their base to allow cleats to be fitted. 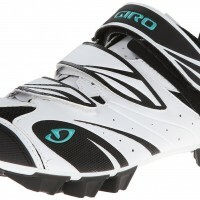 If you pick up a pair of Wellgo SPD Cleats it only takes a few minutes to fit them and you are all set. 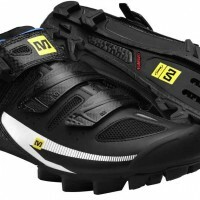 Should you buy the Mavic Razor MTB Shoes? If you’re looking for a great combination of looks, light-weight comfort, stiffness and affordability, the Mavic Razors are a great pair of spinning shoes. 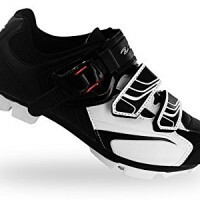 Some riders have complained that the inner soles could be a bit thicker and more supportive, but few have said anything against the overall comfort of the shoe. 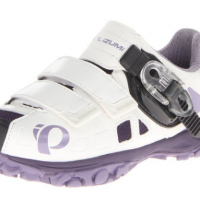 If you’ve been riding for any amount of time, you can certainly attest to the difficulty in finding a comfortable and functional wide shoe. These Mavic Razors are snug but not too tight. The ratchet clasp mechanism allows for precise sizing regardless of whether your feet are short or tall. Just don’t forget to buy your cleats!